Proposed condo complex for Abbott and Muir sparked debate on Planning Board. The OB Planning Board is hosting a special Board meeting on Wednesday, September 16th. The main agenda item out of only 2 before the Board is developing a policy regarding “deviations” to the Land Development Code for Sustainable Buildings Sustainable Building Policy 900-14. In other words, under what circumstances would the Board consider a deviation to OB’s famous floor-area-ratio (FAR). Wednesday will be an opportunity for the board to have a discussion about allowing deviations to the current FAR limits in order to promote affordable housing projects and sustainable infill development. The goal of the second meeting action item is to develop a strategy for projects applying for CSD Policies #600-27 & 900-14. A city program designed to reward developers who build environmentally friendly structures is suddenly shaping up as the next battleground in the eternal debate over what constitutes bulky, out-of-scale housing in Ocean Beach. On the books since 2003, the Sustainable Building Expedite Program is neither new nor little-known. Among other things, it offers speedy permit approval and significant wiggle room in complying with the letter of the land development code if the building meets certain green requirements, such as attaining the LEED silver standard of the U.S. Green Building Council. The other agenda item for Wednesday’s meeting is to discuss changes to the Bylaws developed by the city and recommended by the planning board members. They will meet at the OB Rec Center, 4726 Santa Monica Ave., at 6pm. BULLSH*T. Affordable? to whom? I am so sick of hearing about these stories. Why do we have rules if they are going to be broken or bought, I mean bent, at every request….. The beach areas will never be affordable relative to other areas. All exceeding the FAR will do is make more money for the developers at the expense of quality of life for the surrounding neighborhood. OB is crowded enough as it is. Anyone who wants to have input on this issue PLEASE come to the OPPB meeting this evening at the OB Rec Center. “The agenda for Wednesday’s meeting has been revised. 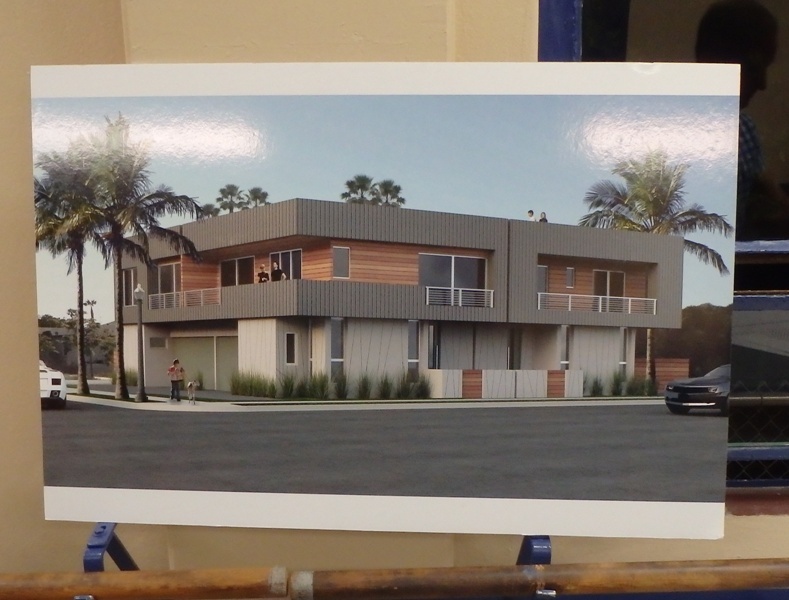 Due to discussions with City Staff this afternoon regarding #600-27 Affordable/In-Fill Housing and Sustainable Buildings Expedite Program, the Ocean Beach Planning Board will no longer need to take action on this item. Instead the group will take the opportunity to have a discussion about the policy. Older Article: Last Month as John Kerry Called for “Genuine Democracy” in Cuba, Oligarchs Ruled U.S.